There are fitness studios, gyms, and performance centers for the exercise enthusiasts. And for those who are injured there are physical therapy clinics and chiropractic offices. It makes sense to separate out these specialties into their own spaces.But can you actually combine all of these areas of the health and wellness industry together? In physical therapy can the exercise someone needs to heal from an injury also be used as a way to increase their fitness level? 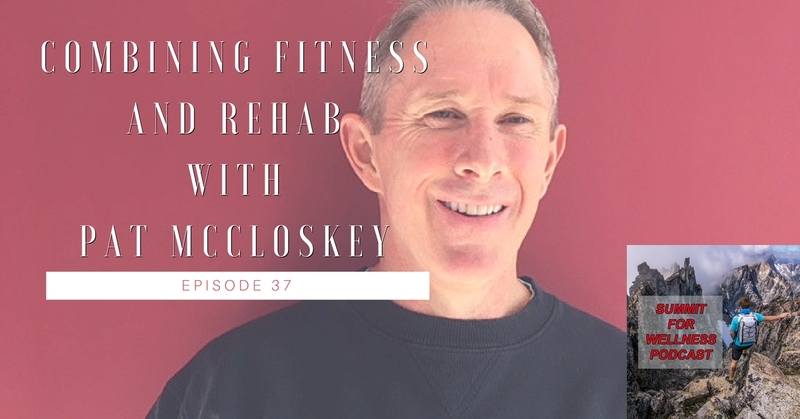 And vice versa, can an exercise at the gym help with the rehab process, or even prevent an injury from occurring?Our guest Pat McCloskey answers these questions within this podcast episode. At his training studio they are combining fitness routines with the rehabilitation process. Get Your Greens In Daily! Try Out The Best Sauna Solution Today! Our Favorite Ultralight Backpacking Gear! Try Perfect Keto Exogenous Ketones Today! 25% Off First Order at Thrive! Use coupon code summitforwellness for 15% off! Stay updated with our latest blogs, podcasts, recipes, and more! This page may contain affiliate links which means I will earn a commission if you purchase through those links. It is at no additional cost to you.